directly from your address book. 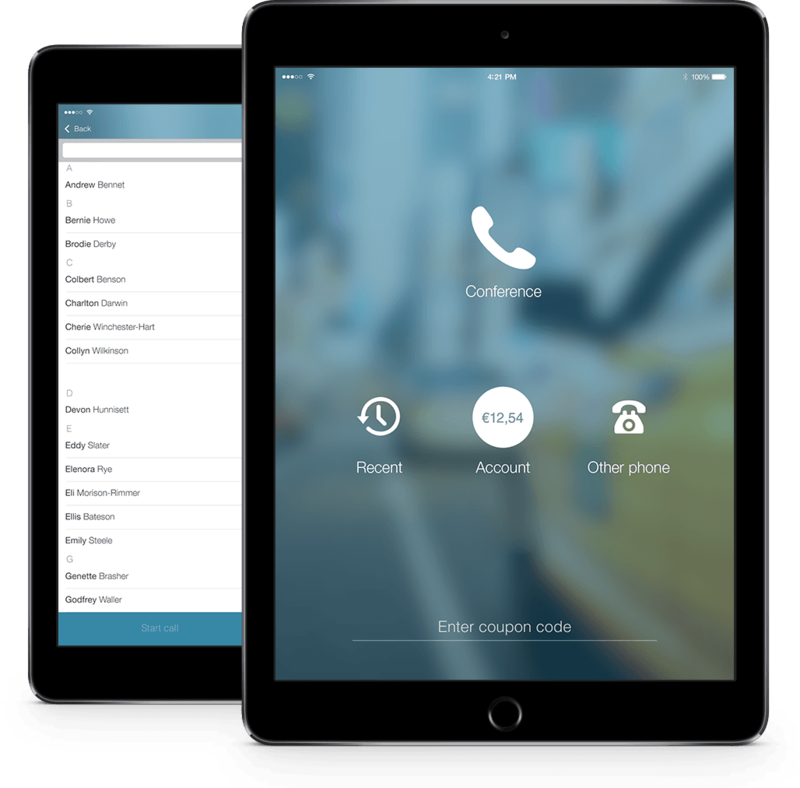 Confer Call is the first service in the world to enable conference calls directly from your address book. With no dial-in numbers nor PIN’s. Your colleagues. Your family. The soccer team. The management team. Your overseas office. 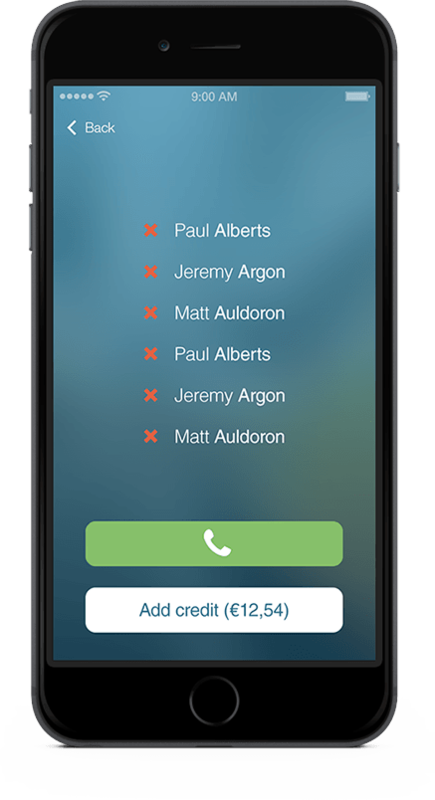 With Confer Call, group calls are as simple as ABC. 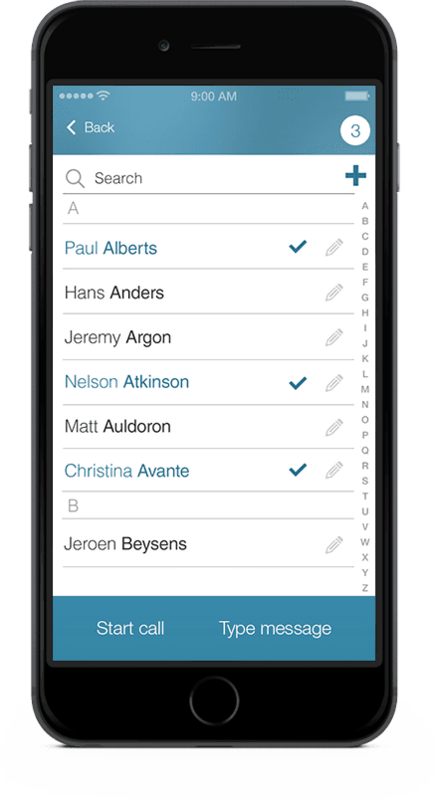 On your smartphone or tablet, open your address book, add all participants, click, and call them all at once. Oh, and texting a group is just as simple. Get the App. Try it out. Don't take our word for it, try it! With a small starter budget, you will be calling your favourite group of people within minutes. Do you have a coupon code? Get the app, and use the code when you start calling. Enjoy worldwide calling for just 5c a minute. We make sure each call is clear, convenient, and without hiccups. Worldwide cost is 5c per person. That's right: 5c per person with no hidden extra costs like your prepaid or subscription-based fee. 5c a minute per person in total both to fixed lines and mobile phone lines – VAT included. The same goes for text messages: 5c per person. That is why Confer Call is the best and cheapest solution in the industry. You easily top up credit with iDeal, credit card, Visa, or PayPal. Get the app. Open your address book. Click. And call. 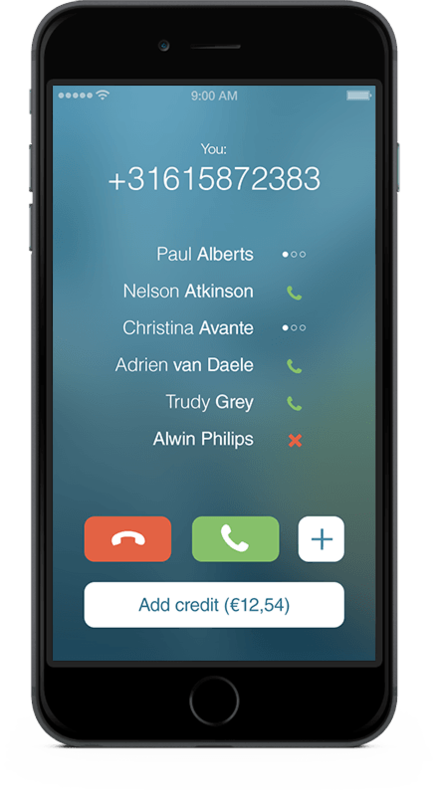 Ever wondered why no service allows you to simply select multiple contacts from your address book? So did we. And we're still the only ones that solved it. 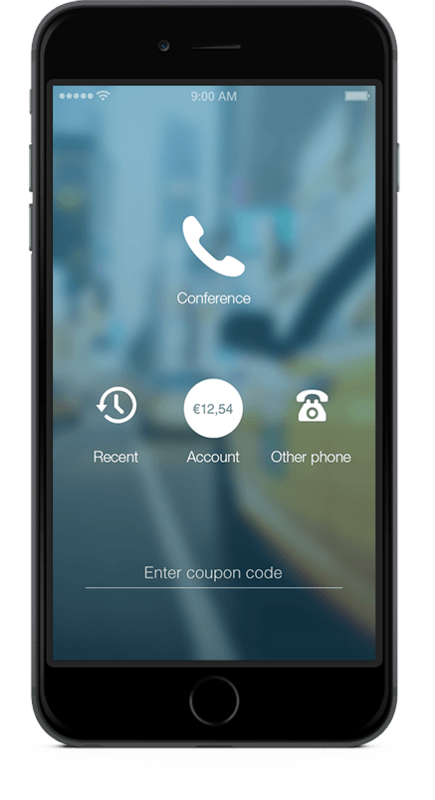 We made the service easier, better, and cheaper than any current conference call and text service in the world. Because we use a guaranteed telephone connection, you are sure to reach all people in the group, no matter where they are. There are no losses, no awkward repetition, and no disconnecting - just a perfect phone-call. If you want to, you can call or text up to 1,000 people. If you want to instantly text or call them all, use Confer Call.